Zoo York Sa Just dropped new hoodies! 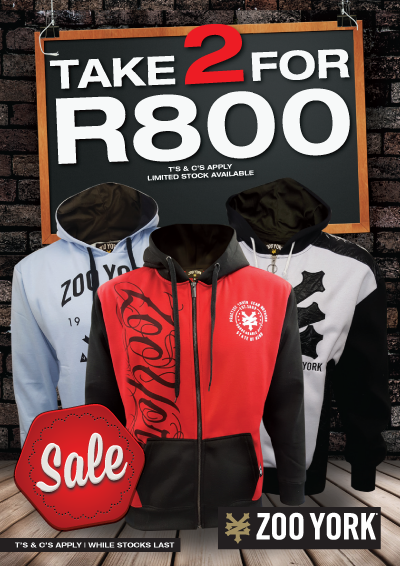 Take 2 hoodies for just R800! Available at all ecko unltd stores! T's & C apply. While stocks last.